This program will provide you with the knowledge necessary to execute research and evaluate and critique existing research — a valuable asset whether you’re planning to put your skills to use in the workforce right away or go on to doctoral studies. This program is designed to provide you with the knowledge and experience necessary to research existing analytical techniques, as well as to develop and apply new methodologies in educational measurement and statistics. After completing your doctoral studies, you’ll be ready to independently conduct research; construct measurement instruments; translate sophisticated research findings; replicate research studies; contribute to the theory of research methodology; and teach basic courses in measurement, statistics, and research design. Doctoral students can also add a minor in Educational Statistics and Measurement. If you take 9 credits of courses in the ESM area, in addition to any courses that are required by your degree program, then a minor in ESM will be noted on your transcript. A minor in ESM will strengthen your quantitative research skills, which are valued by many employers. Courses in Educational Statistics and Measurement expose you to the general principles of inferential statistics, research methodology and experimental design, psychometrics, and categorical and qualitative research methods. Students are required to complete 30 credits for the master’s degree. You must complete 12 credits of core courses, which include 624, 724, 720, and 728; 6 credits in Learning and Development; and 12 elective credits, 6 of which must be in Educational Statistics and Measurement. Your program of study is developed in consultation with your assigned advisor. A full-time student can typically complete the program in two years. In addition to course requirements, you must either complete a thesis or pass a final comprehensive examination. PhD students are required to take a minimum of 54 credits. Of these, 12 are psychological foundations credits, 3 are urban foundations credits, 8-12 are credits in a minor outside the area or department, and the remaining 27-31 credits are from the research methodology area. These are the minimum credit requirements, but students often exceed the minimum in a typical program of study. For further details, refer to the Educational Statistics and Measurement PhD Handbook (PDF). Doctoral students are then required to take a preliminary examination, which measures each student’s mastery of coursework and relevant subject matter and indicates whether you are qualified to proceed with dissertation planning. The final step of the program is a dissertation. The dissertation is a formal opportunity to complete independent scholarly research and demonstrate that you have mastered the tools of independent research. Students are also encouraged to get involved in research with faculty. Because the current student/professor ratio is low (3:1), there is ample opportunity for students to participate in research. The Educational Statistics and Measurement PhD Handbook (PDF) contains program information, sample course sequences, information on dual concentrations, full- and part-time plans, and other general information about the program. Please pay close attention to the Educational Statistics and Measurement preferred deadlines. The program may consider applications submitted after these deadlines on a case by case basis, though we suggest you apply as early as possible. 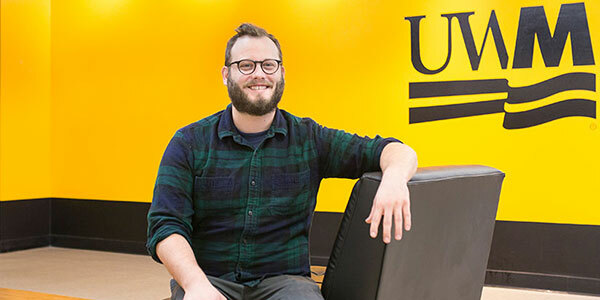 UWM’s Graduate School recommends students apply one year before they intend to start. Master’s students may apply for assistantships at the time of application; however, priority for assistantships is given to doctoral students. Options include teaching, research and project assistantships. All assistantships at or above a 33 percent appointment include tuition remission and health care. Please see the Graduate School’s information on assistantship salary schedules for more details. 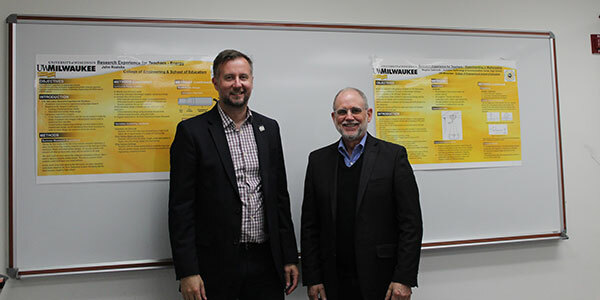 The Educational Statistics and Measurement program has historically been very successful in supporting its doctoral students. Options include teaching, research and project assistantships, and all assistantships at or above a 33 percent appointment include tuition remission and health care. Please see the Graduate School’s information on assistantship salary schedules for more details. Educational Statistics and Measurement faculty have expertise in educational measurement topics such as Item Response Theory, differential item functioning, and educational assessment, as well as in educational statistics topics such as general linear models including multiple regression, structural equation models and hierarchical linear models. Students in the master’s program choose either a non-thesis or a thesis track. The purpose of the non-thesis program is to provide basic research methodology coursework for students who are planning to go straight to work in positions that require educational measurement and research methodology. The program is also an excellent option for those who want to broaden their knowledge of measurement and research methodology for personal or professional improvement. The thesis program is primarily intended for students planning to go on to doctoral studies. The doctoral program prepares students for upper-level professional positions in the fields of educational measurement, evaluation and statistical methods. Such positions are generally found in colleges and universities, state and federal agencies, large public and private school systems, test publishing firms, and research and evaluation centers. Our graduates have gone on to work as university professors, at testing centers, and at Cooperative Educational Service Agencies in the state of Wisconsin.